Breaking a key off in a lock has to be one of the most frustrating moments. And while we urge you to contact us when there is an issue you don’t feel comfortable. Here are at least a few tips for you to try if your key breaks off in your lock. Some think that using the key again may somehow help to jimmy the lock in some way. Don’t do it. All it will probably do is push the broken part of the key even further into the lock. The first thin many people do when they break their key off in a lock is to look for some sort of tool to help them out. One of the most simple tools is a pair of tweezers. We only really recommend trying this method if a bit of the key is still hanging out of the lock. Otherwise, you may end up pushing the key further into the lock. Believe it or not, super glue MAY help you get a key out of a lock. If you’re able to put some glue on the end of something, such as a match, and then adhere it to the key. 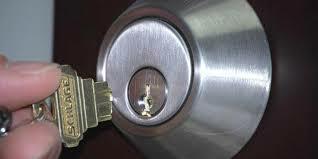 Again, DO NOT try this method if the broken key in the lock is not visible or easy to access. You’re going to be frustrated, and you probably won’t have the best of luck getting that key out if you can’t see a piece of it hanging out of the lock. If you’ve exhausted your methods and your patience is wearing thing, please be sure to contact 24/7 Emergency Locksmith!